Weddings in Laos are very different than those in the US. 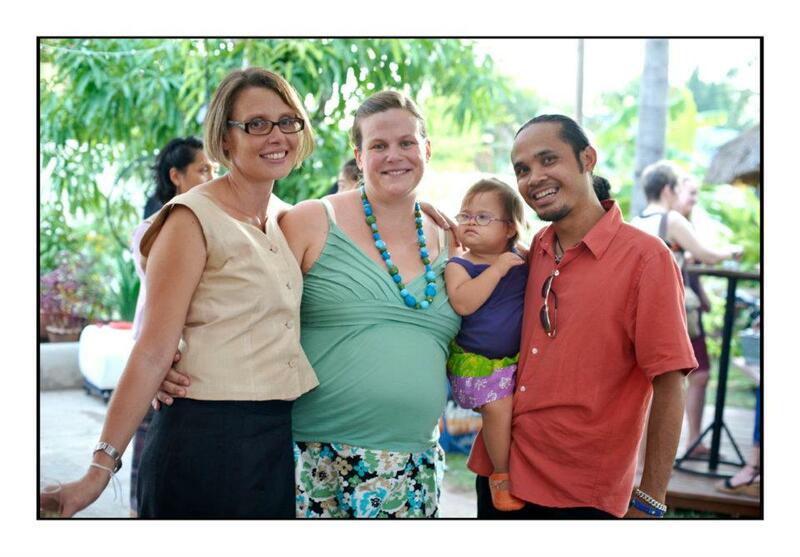 Personally, we got married in the US and then had a pseudo Lao wedding/reception 9 months later. Oh yeah and as far as Sout's parents feel, we were already married a month before we got engaged in my books. Clear? Yeah well, it's a loooooong story. But anyways, back to Lao weddings. A fabulous girlfriend of mine is getting married to a fabulous (though non-Lao) man. She has lived in Laos for over a decade so while Canada won as the ultimate place for the nuptials, the couple decided to start the ball rolling with a wonderful Lao engagement/wedding ceremony first. In Lao it is common to have an engagement party with traditional ceremony (and optional local party bosses and village leaders reading out relevant laws and telling you "you're only engaged, you can't actually get it on yet". For some reason, Emma chose to forgo that last part). Nava was great at the ceremony. She made the 'praying hands' gesture when you are supposed to with just a little prompting. And the highlight was that when shaman paused for the crowd to vocalize encouragement to the spirits (its really hard to explain, sorry! ), Nava totally caught on and joined in by clapping! So sweet. Here's my favorite picture of the whole day to leak out yet. 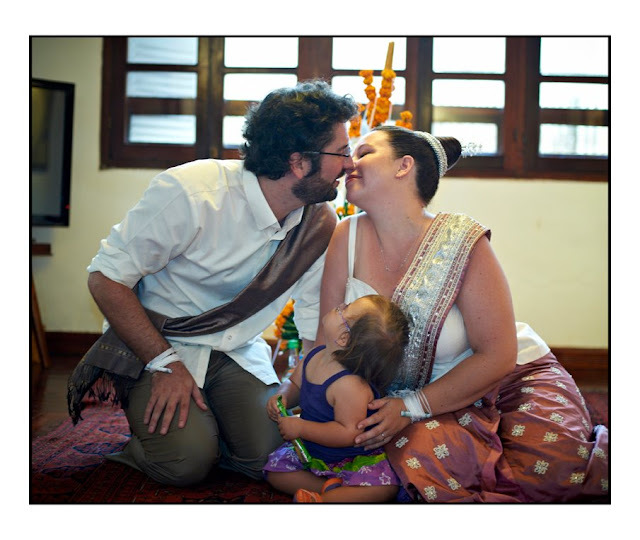 Its customary to get the couple pictured with a baby and perhaps sitting on their bed with a baby so as to 'encourage' them in that department. Nava's quickly moving out of the baby stage but was happy to oblige nonetheless. © 2012 Stanislas Fradelizi/laophoto. Used with little permission.